The best reason to use a passcode on your iPhone is to prevent thieves or unwanted individuals with access to your phone from obtaining any of the sensitive material that might be accessible through the device. You can even enable a setting on your iPhone that will cause all of the data on the device to erase if the passcode is incorrectly entered ten times in a row. But if you have a child that likes to play with your phone, then it’s possible that you are concerned that the child could inadvertently erase all of the data on your phone. Therefore, disabling this feature is a good way to prevent the inevitable headache that can come from needing to restore your entire device because your child was having fun pressing buttons. 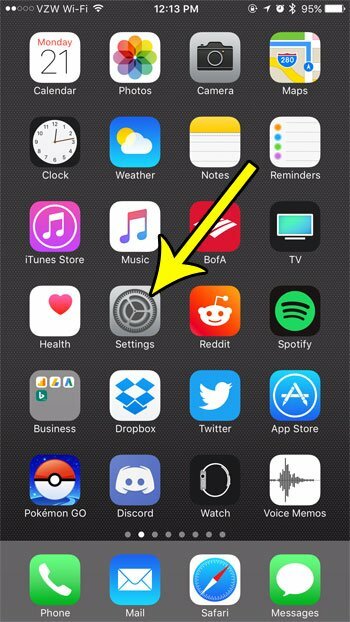 Our guide below will show you how to find and turn off this setting. The steps in this article were performed on an iPhone 7 Plus in iOS 10.3.3. These steps are meant to be preventive. 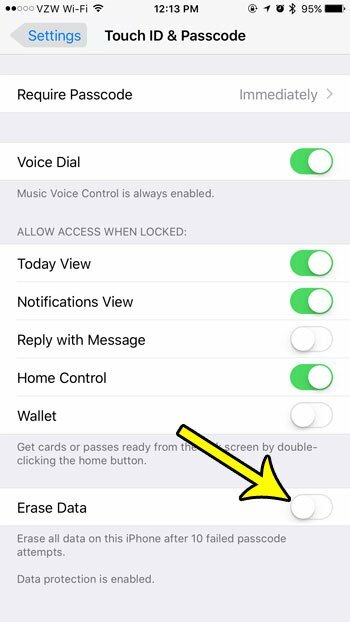 This will not help you if this setting is enabled, and the passcode has already been entered incorrectly 10 times. Step 2: Select the Touch ID & Passcode menu. Step 4: Scroll to the bottom of the screen and turn off the Erase Data option. Your iPhone will not erase all of its data after 10 failed passcode attempts when there is no green shading around the button. I have turned off the Erase data option in the picture below. 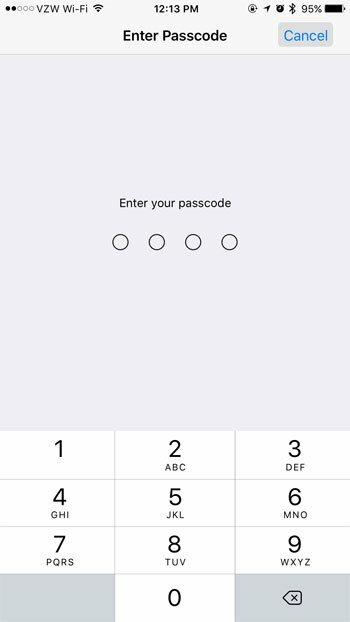 Would you like to have an iPhone passcode that uses letters instead of numbers? 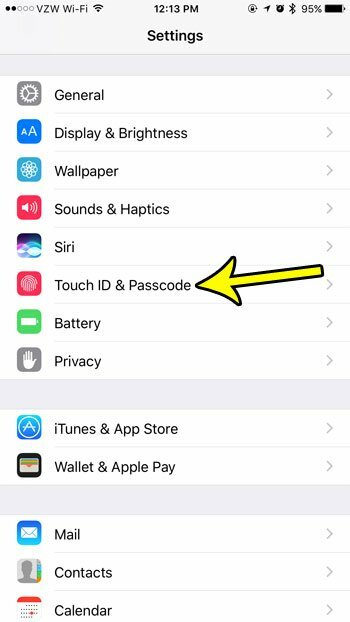 Learn how to change the iPhone passcode type and give yourself a lot more potential options for device passcodes. It’s a little more inconvenient to enter a passcode this way, but it gives potential thieves a much harder time.